This property is 1 minute walk from the beach. Located in the picturesque village of Luss within Loch Lomond National Park, this 4-star hotel is just a 25-minute drive from Glasgow Airport. 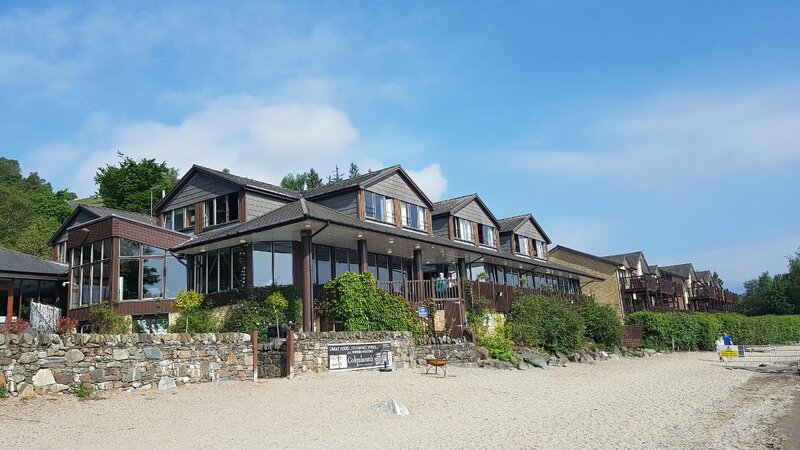 An award-winning restaurant serves local produce, whilst there is a spa and spacious rooms with luxury bathrooms. 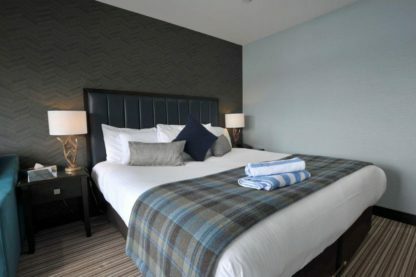 Many of The Lodge on Loch Lomond Hotel’s rooms look out across the beautiful Loch. With each room featuring a seating area, flat-screen TV and tea and coffee, some offer a balcony or private sauna. 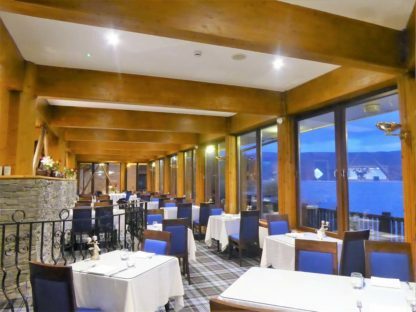 Colquhoun’s restaurant has a menu including locally caught fish and meat, with a terrace over the water. The hotel bar is less formal and serves light meals. Guests can relax at Amberspa, with facilities including a spa bath, steam room, sauna, and swimming pool. 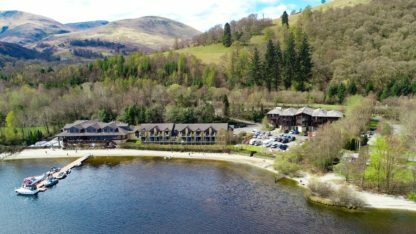 Argyll Forest Park is a 10-minute drive away and has fishing, cycling and wildlife walks.